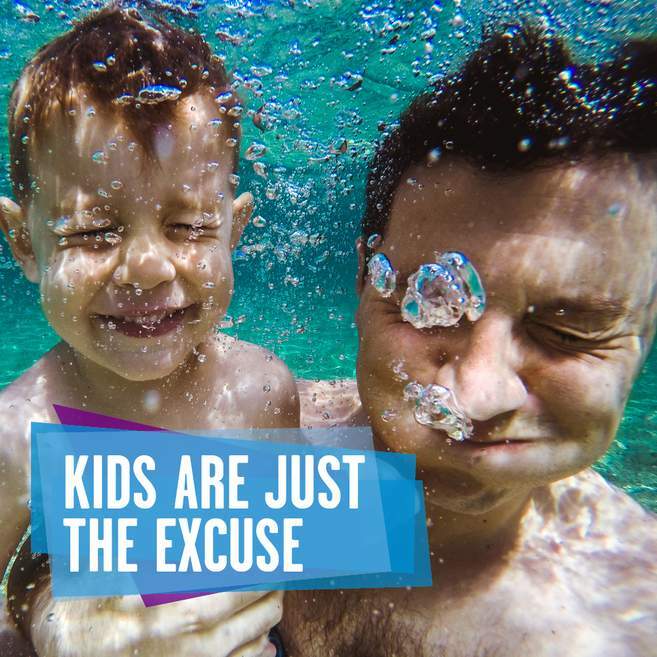 Family time is precious, so make the most of it at one of your local Better leisure centres. We've got everything to help you create the best family time and get active together. From our trampoline parks to cycle tracks, bowling alleys, badminton courts, golf, roller skating and swimming sessions, plan in some proper family time at Better. Bounce, dodge and dive into a whole heap of fun at Better Extreme, Bath. The park features will allow you to battle it out with your friends in the wipeout area, dunk some hoops, dive in to the foam pits and test your reaction skills on our dodge ball court. There really is something to keep children and adults of all ages active and entertained. Bath Sports and Leisure Centre now has its very own 8 lane bowling alley! Ideal for a some family fun, bowling is entertainment for all ages. Treat the children to some proper family time in one of our pools. A good family swimming session just brings out the best in everyone. So for a day filled with fun and packed with entertainment, look up your nearest pool and take to the water with the whole family. Come rain or shine, our 3G pitches and cycling track at Odd Down Sports Ground are a great way to get some fresh air and blow out those cobwebs! Drop in sessions for these activities are available for just £1! Availability varies day to day so please contact the centre on 01225 300420 in advance. Bath Sports and Leisure Centre, Chew Valley Leisure Centre and Culverhay Leisure Centre all have sport halls great for family game of badminton or table tennis. You can check availability and book courts online too. You don't need to be pro to give our golf courses a go. Families and beginners are very welcome. Bath Approach Golf Course is the perfect place for youngsters to learn how to pitch and putt whilst Entry Hill Golf Course provides a greater challenge for the next Tiger Woods! Club hire is also available and there is no strict dress code. Get your skates on! Skating round Bath Pavilion is super fun, especially with disco lights and music on. The sessions are family friendly and are supervised with a skating marshall. Skate hire is also available. You can book online. If you're in need of some proper family time, the perfect day together is here waiting for you all.